Over the past decade, using deep industry specific knowledge gathered along the way, we have developed five industry specific training platforms that offer ‘best practice’ content. These learning platforms are relevant for both individuals looking to increase their sector knowledge and improve their chances of securing a new (or better) job in the sector and businesses operating in these sectors looking to empower and motivate their employees. The content has been developed in conjunction with true subject matter experts in their specific field and is all aligned to Australian Quality Training Framework (AQF) standards. Individuals can register and pay for content in real time and work through the courseware in their own time using any web-enabled device. They will receive a certificate of completion recognising their successful learning. For businesses with time and budget constraints, we can ‘white label’ this content so it appears it has been developed especially for your audience. There are three elements that combine to create sustainable profit and growth in the retail channel - product, environment and people. Of these, people is the most critical. Our content helps attract, engage and retain retail staff. It teaches them the right skills and knowledge to make them a valuable resource for your business from their very first shift. 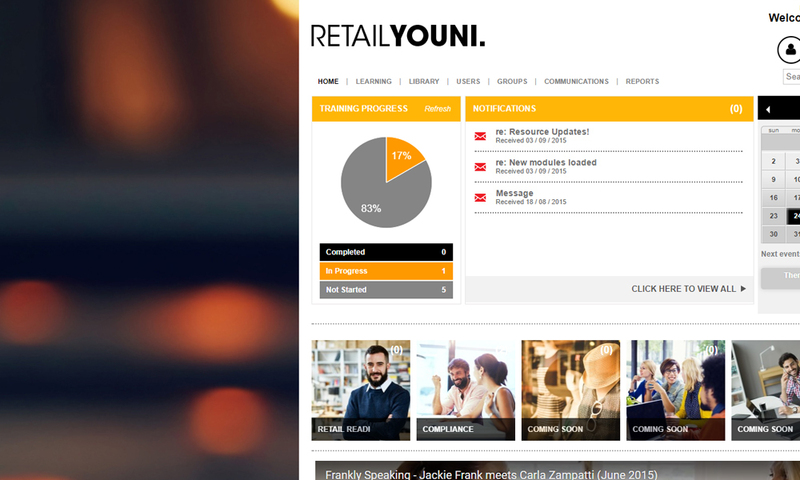 Our Retail Youni platform includes content that will ensure a weekend casual with a single weekly shift is as knowledgeable as the manager when it comes to selling or products and services. Retail Readi courses are offered as non-accredited, non-assisted training courses however the interactive courseware is developed to Australian Quality Framework (AQF) standard. Students receive a statement of attainment upon completion of each course. So whether you manage a single store or are responsible for a chain of outlets this content provides you with a fast, affordable, scalable and measurable option to train your staff so they have the core skills required to be an effective team member. At Peopleplan we believe that the people who care for others should have every support available to succeed. 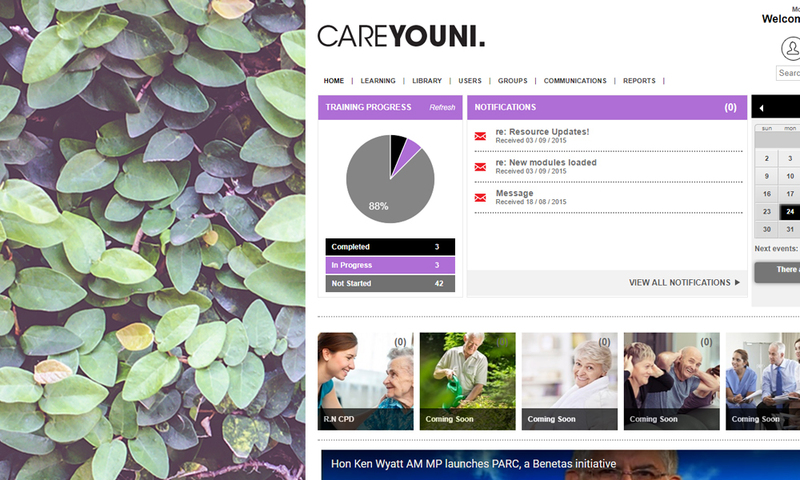 With over 30 modules, our extensive range of interactive online learning courses ensure care skills and expertise are maintained to the highest standard across Residential and Home Care as well as older people’s health issues. This cloud based learning platform allows a registered nurse to train anywhere, anytime which supports a strong work life balance. Our electronic transcripts and reporting tools ensures you’ll always be audit ready. Our Continuing Professional Development (CPD) solution also supports registered nurses who care for older people to meet their annual CPD obligations. We know that one of the most important roles of charities, community groups, schools, sports clubs and other not-for-profit organisations is to make sure they maximise their budget so as much money as possible is translated into improving the lives of their beneficiaries. This can be tricky when success can be highly influenced on the reliability and capability of a complex network of staff, volunteers, support workers, family and even the beneficiaries themselves. Our learning and communications platform and custom online content solutions provide an ideal and cost effective educational tool that overcomes these complexities. While volunteers make a huge contribution they can also take up a lot of management time and resources and even expose the organisation to legal issues. Our platform enables NFP’s to engage and align volunteers with their objectives, strategy and culture. Many volunteers may only volunteer for a day or may need to be trained or inducted on certain skills or compliance issues prior to work. 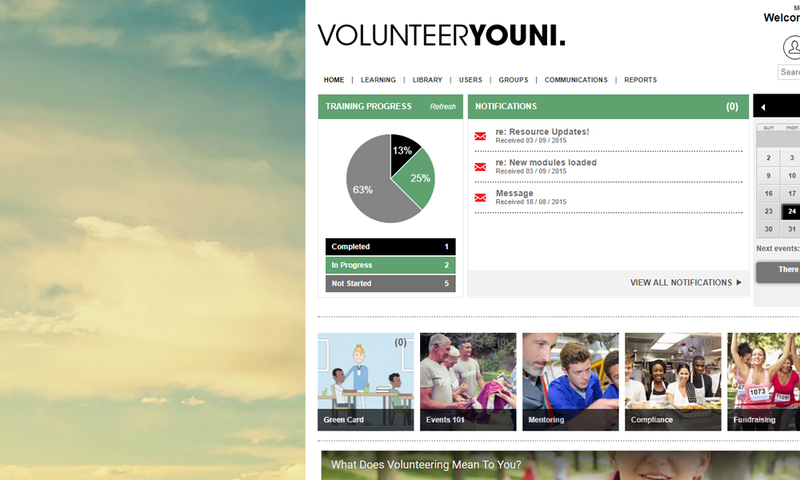 Traditional face-to-face training and inductions are costly and time consuming while with online training you can train them prior to commencing so they are as up to speed as a longer term volunteer on day one. If you are interested in establishing a stable of accredited volunteers for your organisation or if you are an individual looking to attain a recognised certification in this area, we’ve also developed a core standard of training which we call the ‘Volunteer Green Card’ which ensure new volunteers are up-to-speed with the basic principles of volunteering as well as specific compliance requirements such as privacy. Small business plays an integral role in the Australian economy, accounting for almost half of employment in the private non-financial sector and over a third of production, yet it is estimated that one in three new small businesses in Australia fail in their first year of operation and three out of every four by the fifth year. A study by the University of Technology, Sydney found that commonly cited reasons for business failure include bad management, poor record-keeping, staffing problems, failure to seek external advice and personal factors. The majority of these problems can be avoided through improved knowledge and skills delivered by training however, traditional face-to-face training is not a priority for the small business owners or managers as they have limited time and find it difficult to attend training, with few, if any employees to cover their absence. 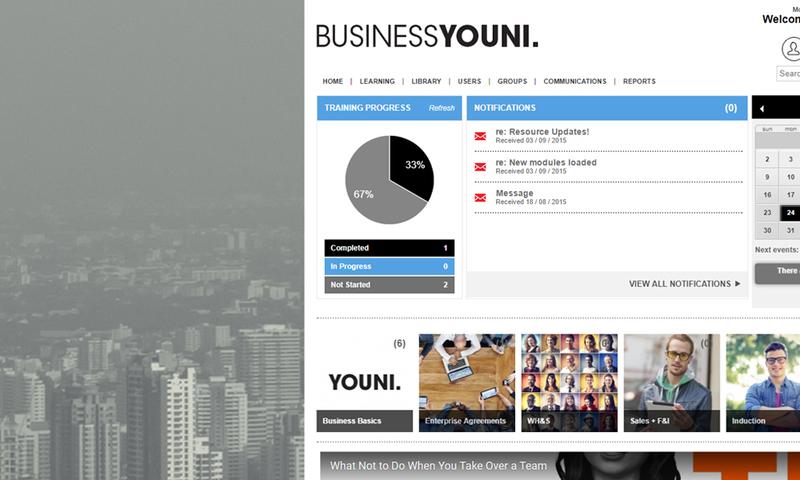 That’s where Business Youni can help through its relevant on-demand, bite-sized online learning. Our platform provides access to top-level business learning content to help FRANCHISE’s plan, start, implement, manage, perform and grow. 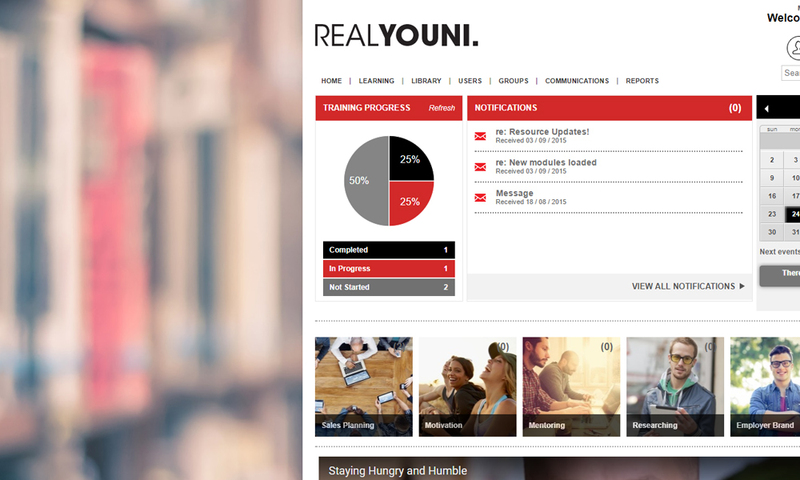 The Real Youni platform has been specifically developed to support those who are considering a career in real estate and those already working in the sector who need to ensure they meet their CPD (Continued Professional Development) requirements. The content has been produced with a number of extremely successful real estate agents and a leading trainer in the sector.